The Cemetery Book is a call to reflection. Originally meant for a handful of people who stopped into Ye Olde Friendly Flower Shoppe, the book, instead, is a wake up call to the community. A reminder that capitalism can distract and eventually demoralize us from our traditional values and rituals. This book will be sighted as the leader of its kind. A down to earth, straight talking work that intelligently guides a visitor through the ritual of visitation and increases ten fold the richness of that ancient tradition. A sorely overdue, plain talking guide for visiting the grave of a loved one. This book is for those who care enough to visit and wonder how to fully partake of the tradition. Burial rituals have profoundly changed over the last century. Both the attitude of the public as well as the forces behind cemetery policy has distracted us from the peace and beauty of memorial gardens. This book will allow you to review misconceptions about cemeteries and encourage not only frequent visits, but spiritual and emotional fulfilling experiences as well. 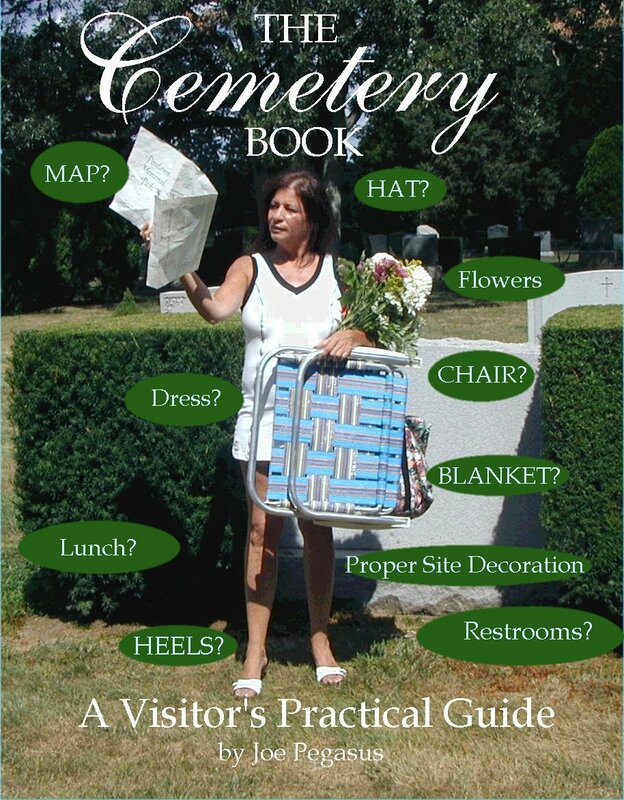 Divided into three parts, this guide first walks you through the problems seldom thought of when visiting a cemetery; what to wear, what to look for, where are the restrooms, etc. Various types of decorations and gifts are discussed in detail. You'll find an extensive listing of the kinds of flowers to bring to the site, both fresh and artificial. The author also discusses online virtual visiting and secular forms of vigil and honors. Part two is a guide through the often missed and seldom understood terminology found in the designs on stones and markers. It will educate and delight both your mind and your spirit. Part three offers a reference as well as selected essays and poems to read during a visit. Throughout the book are choice designs contributed by world class memorial designers to enhance the reading and your visit. This is an important practical guide for everyone. If you visit your departed ones, you know the value of this book. If you know of someone who will be doing so soon, buy this book for him or her. They will thank you for it. Mr. Pegasus has spent his entire 44 year career paying strict attention to people who care enough to visit the graves their deceased loved ones. He is unique among death care professionals because he has played roles in all its facets. He has worked in cemeteries, renovated cemeteries, worked as a stone cutter and monument builder, consoled families and designed monuments for public display and the famous, and is regarded as a master designer as well as an archivist of the world's largest collection commemorative art. He presently manages and operates from Ye Olde Friendly Flower Shoppe.